Interested in spectacular fine dining experiences? Or perhaps a casual bite to eat is more your style. Forget New York, Chicago, and Los Angeles. Wilmington, Delaware is the place to be! With a close-knit, neighborly ambience, incredible attractions, and dining experiences from casual to fine dining, it’s easy to see why so many people have chosen to make Wilmington their new home. And here at Montchanin Builders, we’re offering a variety of communities and floorplans that appeal to families of all sizes. In the meantime, get your taste buds fired up by reading about these exciting new restaurants. Francophiles have been flocking to this new establishment at Lovering Ave. in Wilmington. It offers a cozy dining experience with unbeatable food and a full coffee menu. Though the café is casual, the food is anything but. The two Delaware natives who run De La Coeur use locally sourced ingredients to craft their pastries, sandwiches, soup du jour, and sweet and savory crepes. The must-try item on the menu is your choice of double espresso or espresso macchiato served in an edible cup made of baked shortbread and lined with callebaut Belgian dark chocolate. Chef Bryan Sikora opened this restaurant in 2016, but it’s worth a mention on this list, given its unique take on classic Mexican and Latin dishes. Sikora also owns the nearby Merchant Bar and La Fia—both worth checking out. Cocina Lolo embraces diners with a festive, cheerful ambience. Plan to dress casually—even the servers wear jeans—and choose from six kinds of margaritas at the bar. 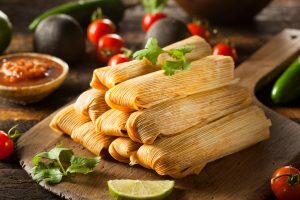 Wilmington residents adore the tamales here, with multiple fillings to choose from. One of them features smoked short rib, Oaxaca cheese, and pickled island peppers. Or, choose a house special, like the grilled snapper or family-style paella. Cocino Lola doesn’t skimp on desserts, either, with to-die-for grilled pineapple with orange curd, mango puree, sponge cake, and pineapple sorbet. As you might expect from a predominantly Mexican restaurant, sangria is on the menu. If you’re abstaining, you won’t be left out. Order the non-alcoholic hibiscus agua fresca. Wilmington is a top destination for couples, singles, and families looking for a better place to live. In addition to the great restaurants, cafes, and nightlife in the area, Wilmington offers plenty of fun recreational opportunities, world-class education for the kids, and easy access to major cities for commuters. Montchanin Builders has been on the forefront of neighborhood planning in the Wilmington area. We’re proud to offer luxury, move-in ready homes in our masterfully designed neighborhoods of Shipley’s Circle, Darley Green, The Town of Whitehall, and The Overlook at Rockford Falls. We look forward to meeting you and discussing what you’re looking for in your new home. Call 302.472.7212 or fill out the simple form on our website and we’ll be in touch soon!